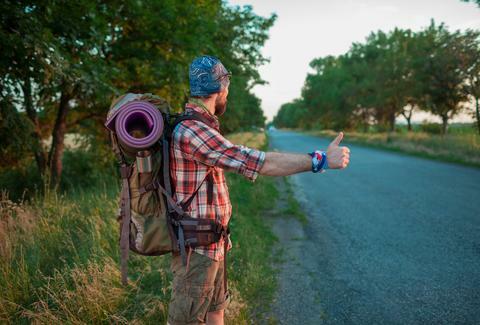 The golden age of hitchhiking has come and gone, yet there's still something romantically nostalgic about hitchhiking and I wanted to see if it was still possible to travel a great distance with only my thumb and a sense of optimism. So I recently put it to the test, setting out from Berlin on a 600km trek up through Germany and across into Aarhus, Denmark -- and then back. I had just 20 euro in my pocket. Along the way I met a load of German bricklayers with a penchant for early morning beer, East European tycoons, and a kind-hearted woman with a love for aged rock bands (and me). I spent hours in the rain and gained a whole new perspective on Kerouac’s On the Road. Hitchhiking isn't easy but it's worthwhile, and it shows that the journey will teach you far more than the destination ever will. I doubt hitchhiking will ever come back to be what it was in decades past, but my story proves it is still (mostly) possible. Having risen early, armed with a small bag of clothes, Andreas -- my real-life Dean Moriarty -- and myself made our way to Berlin's Pankow district, where the main road becomes the autobahn. Perched on the side of the road, we waited no longer than 10 minutes before being picked up by a minivan filled with local bauarbeiter -- German construction workers. The friendly old bunch was tucking into a crate of Sternburg -- a cut-rate German beer -- at just past 9 in the morning, and they were all in a jubilant mood (the driver, I hoped, was not). The old boys were humble and gallant, and proved to be generous company for the first part of our escapade. The soft, inebriated gents took us a couple hours, as far as the old East-West German border, and dropped us at a gas station. 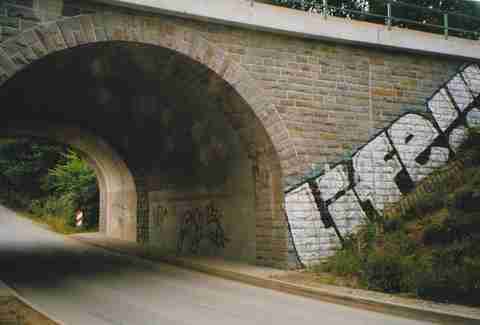 I was halfway across Germany, at the dividing line between the east of my youth and the west of my future, to borrow a line from Kerouac. As anyone who's even taken to the road will tell you, gas stations are a smorgasbord of ride-sharing opportunities, and it didn’t take long for us to find our next ride. Our next lift came from a Latvian businessman in a blacked-out Mercedes with leather seats -- a far cry from how the day had started out. The young driver, it seemed, was doing very well for himself in the logging industry but, friendly as our new ride was, there was a touch less geniality than we’d experienced with our previous carpooling comrades. Departing in Hamburg, we wandered around the port city, had a beer, and briefly cast our eyes around the Reeperbahn. From the other side of the city, we took another ride up to Flensburg, and eventually on to Aarhus as the sun set. Your style will have an immediate impact on whether or not people will give you a ride. Passing drivers will judge you on your looks as fast as a Tinder swipe. The year prior to my hitchhiking trip I had been playing bass guitar for a ska-punk band in the UK, living for most of the year in the back of a van, and I was still sporting piercings, long hair, questionable sideburns, bad taste in aviators, and a denim get-up that would have probably better suited the New York Dolls. When it came to hitching back to Berlin on my own a few days later, I found that getting a ride was going to be a lot harder without the more normal-looking Andreas at my side. Standing alone by the highway, I was eventually picked up by a woman who told me I reminded her of Bono. She whittled off all of her favourite LPs and times she’d seen U2 and said I'd made her day. Despite this fortunate case, I realized that my appearance affected both the number and the type of people who would pick me up. 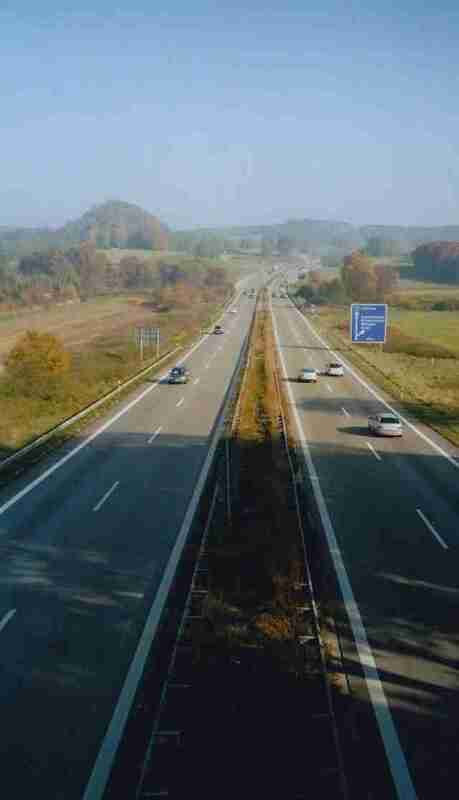 Halfway to the German border, and I was waiting patiently on the highway for the next generous soul to take me to my next port of call. In a battered old wagon, an elderly Danish man invited me in, saying he would take me as far as he could, although he wasn't heading as far as Hamburg. My new driving companion was the most stereotypical '60s acid-head you would ever meet. With a tape deck that might as well have been playing the Grateful Dead, my new friend was regaling of his youthful days, hitchhiking around Southern Europe, Kerouac-style. The acid had taken its toll on him in his later days. Suffering from various mental ailments, my new companion was forced to smoke copious amounts of marijuana just to hold it together, as he told me. Back home he had whole garden full of the stuff, and was very adamant about showing it to me. Aware that I was way behind schedule in getting to Berlin, and not wanting any part of this old man's cabin, I decided that this wasn't the ride for me. After a few awkward moments and difficult conversations, I persuaded the ancestral-acid to let me off on a main road. Once I got out and found my bearings I realized we had been driving around in circles the whole time. Hitchhiking by its very nature is unpredictable, and you might not always be able to get where you want. This is just life on the road. And as things had been going one way, the road suddenly turned for the worse. Waiting for my next ride, the clouds opened, the wind blew, and the cars flew past in droves, some honked their horns at me, while others gave me the finger. 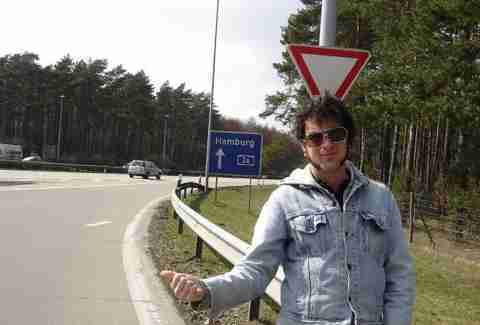 I had at some point made it across the German border, yet was finding it near impossible to get back to Hamburg. I may be stereotyping old historical preconceptions, but I had a much easier time finding rides in East Germany than West, perhaps because the East Germans still stick to their socialist upbringing and support activities like hitchhiking and community kitchens. With every car that passed me by I pined all the more for those old construction workers to magically save me in their beer-filled-van. Eventually a student slowly rolled by in a van, shouting out to me that it was impossible for him to stop because of engine issues, but if I could run and jump in, then the lift was mine. In Hollywood glory, I made the leap of faith and gained a new friend. As we drove to Hamburg, I littered the air with my poor German, but by the time we made it, the sun was already setting and I was still 300km from where I needed to be. In Hamburg I surrendered to inevitability and caught the train home to Berlin (it happened to be the wrong train, but that's a different story). In our modern-day sharing economy, we'll gladly use Airbnb to sleep in a stranger's home, and in Europe the rideshare apps connect drivers and passengers in a far less formal way than the more corporatized Uber and Lyft services. But the space for spontaneous hitchhiking is still slowly edging further away. But before it disappears forever, take your own leap of faith and try it. "The best teacher is experience and not through someone's distorted point of view," as the perennial hitchhiker himself wrote, as ever On the Road.